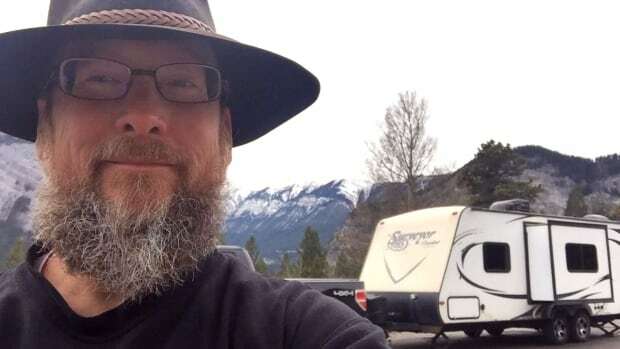 A Calgary man who decided to save money by living for years in a travel trailer named Wanda — even when temperatures plunged to –40 C — has finally paid off $85,000 in debt. A few years ago, Geoff Westlock owed more than $40,000 from a truck loan, film school costs and credit card debt. After the economic downturn in Calgary, he started worrying about whether he would hang onto his job. He did, but the uncertainty forced him to look closely at his finances and heavy debt load. So he decided to take out another loan for $36,000 to buy a trailer — and stop paying rent. 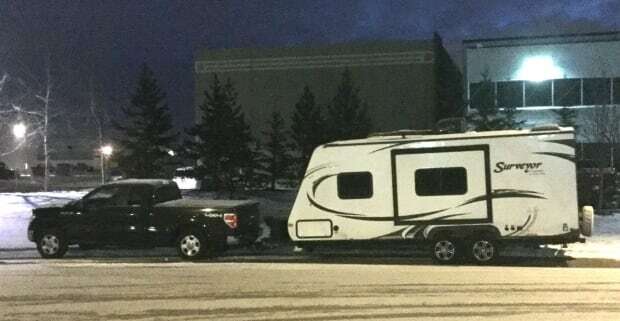 He moved into his six-metre-long abode in May 2014 and started parking at free lots in Calgary — usually big box store parking lots or industrial areas. Last winter, he even stopped running his heater in the winter. His efforts have paid off, so he’s now spending a few days in Banff to celebrate. “I got everything done this last pay day,” Westlock told the Calgary Eyeopener on Thursday. The few years have been unorthodox and difficult at times. He now works at a company selling industrial supplies. In the camper, he relied on “the British heating system” of many layers, including four sets of thermal underwear sewn together at the cuffs. The trailer has a furnace that only works with electricity access, like at a campsite. Otherwise, he must turn on his battery-operated generator, which lasts only a short time in the cold. 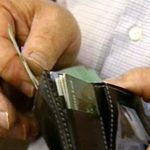 Beyond saving money, Westlock said key to his debt reduction plan was paying more than his minimum payments each pay day. That helped more of his money go towards the balance owing and not just interest, he said. Westlock is upfront about his spending mistakes, and warns others to make good financial decisions. “I learned pretty much that I was the architect of my mess-up and I was also the architect of my fix-up,” Westlock said. He would like to buy a piece of land. “To me, this journey has always been about freedom because right now, I can live on about $400 a month — and that’s before economizing,” Westlock said.